Anticipating their shining eyes and glowing smiles? Let your event collateral reflect the brilliant memories to be created at your upcoming Christmas party when you choose the colorful, gleaming imagery on the template of this bright Prism Tree Postcard, which helps light the way to a fantastic event for you and your special guests. 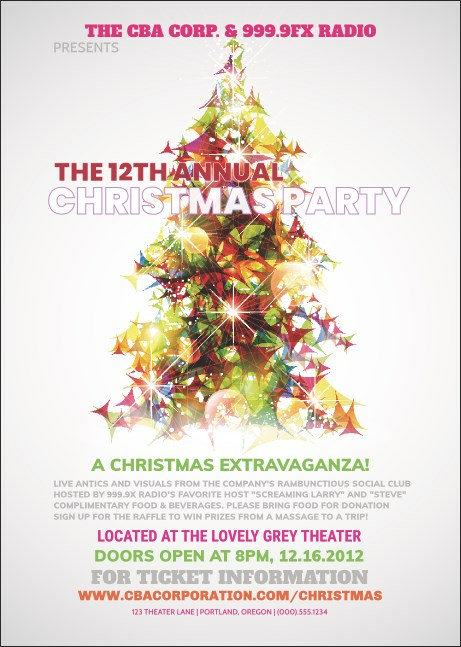 Trim your budget with affordable Christmas Event Kits from TicketPrinting.com.